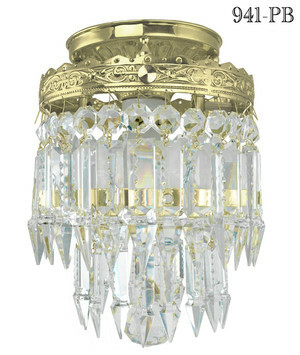 Our lead crystal prism chandeliers are timeless. 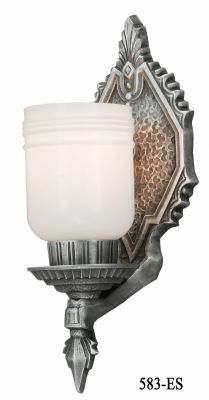 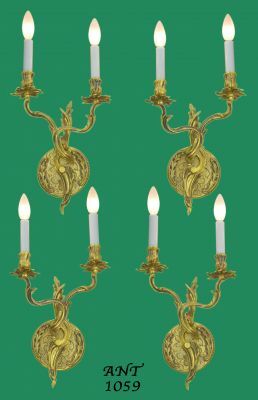 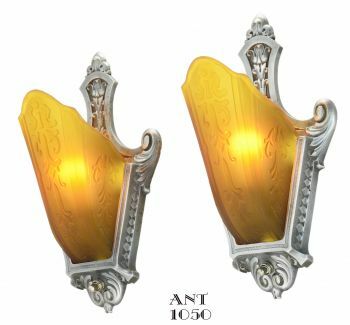 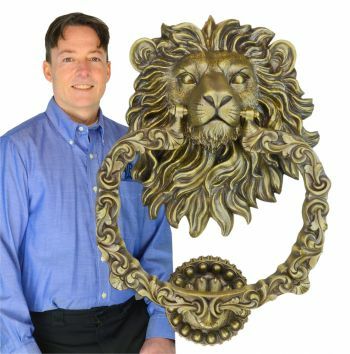 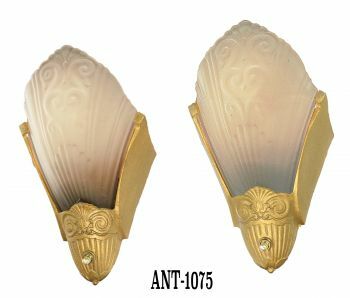 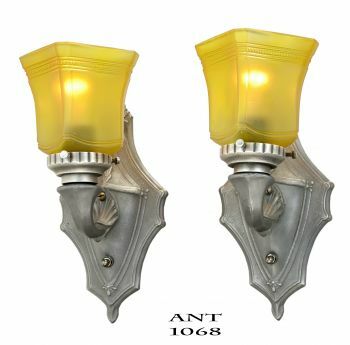 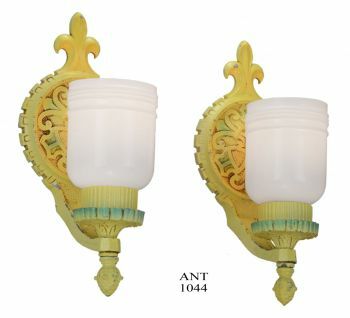 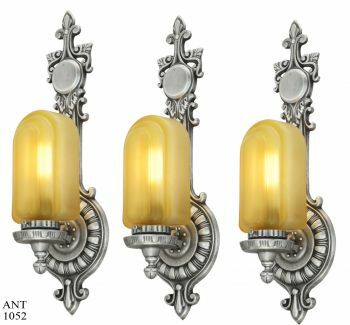 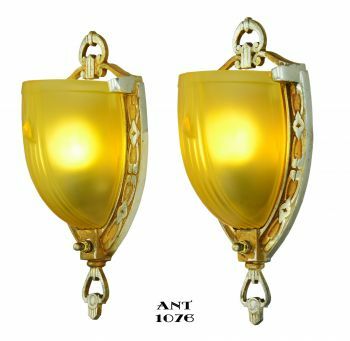 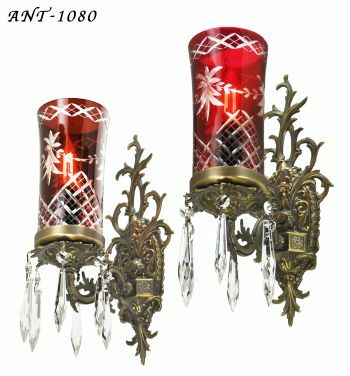 Enjoy them in a Victorian home, or a contemporary formal dining or living space. 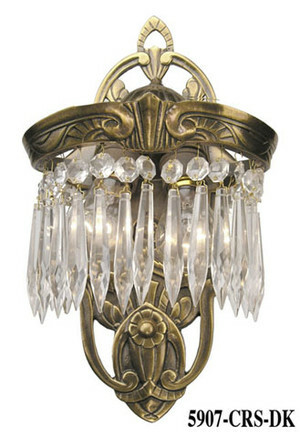 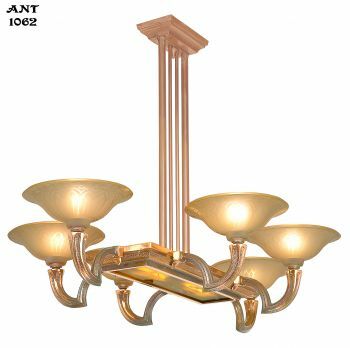 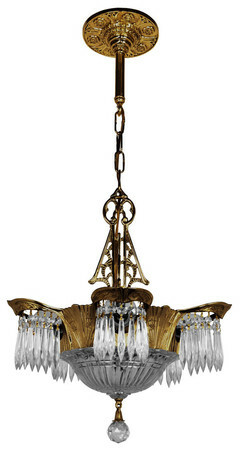 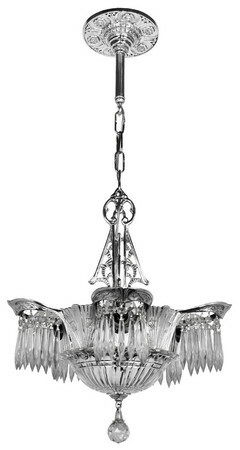 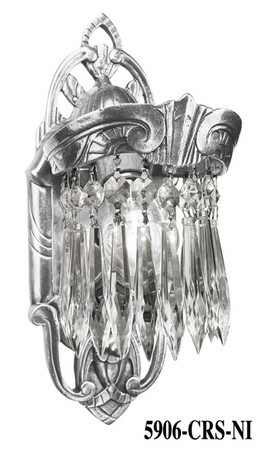 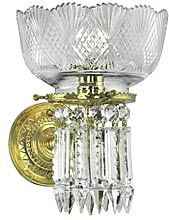 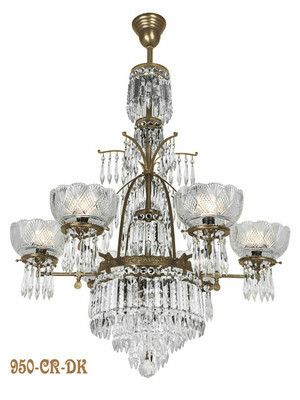 A 21st century application is to have an elegant prism chandelier in the bedroom or master bath. 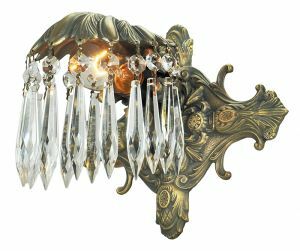 The prisms multiply the light coming from the fixture, and the Oxley Giddings provenance (original manufacturer, circa 1870) guarantees a classic worthy of investment. 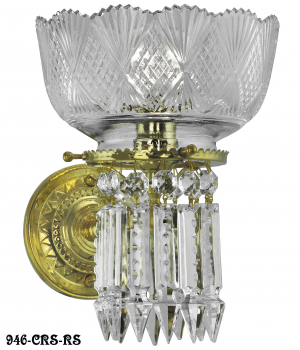 In our showroom, natural sunlight coming through the cut glass prisms makes a colorful rainbow around the room, even when the lights aren't turned on. 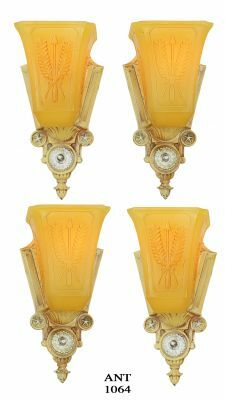 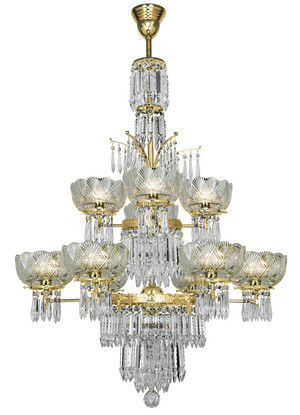 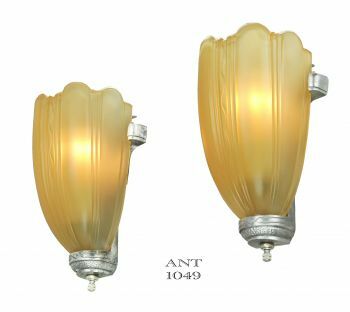 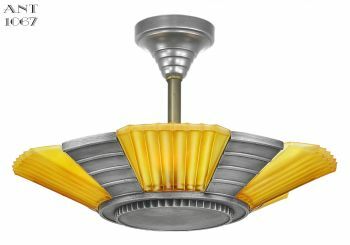 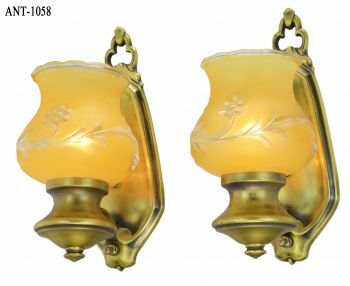 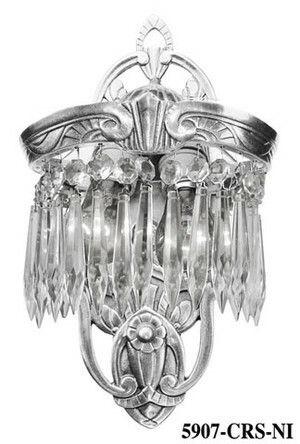 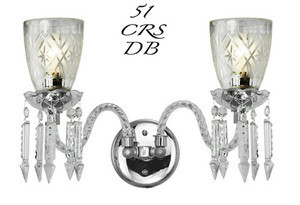 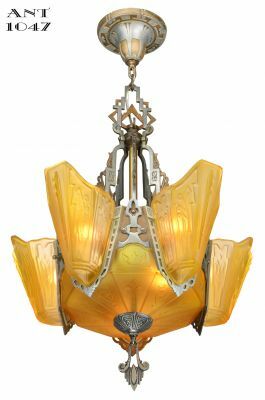 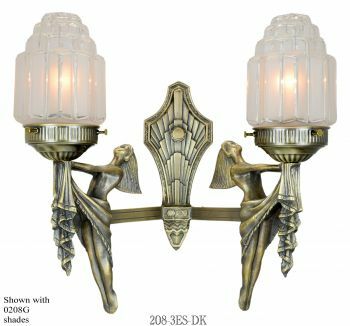 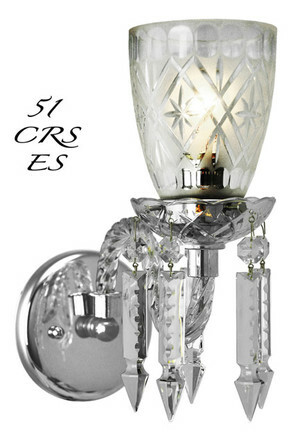 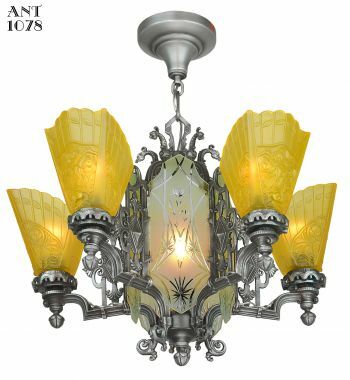 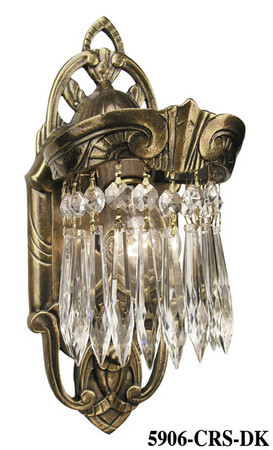 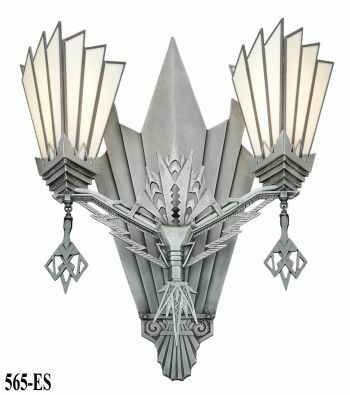 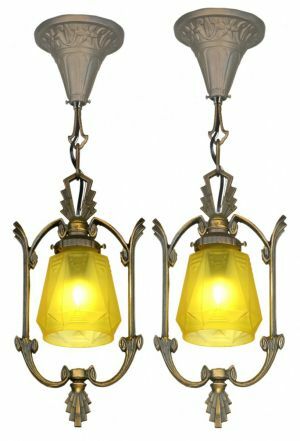 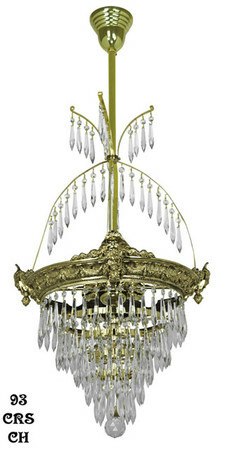 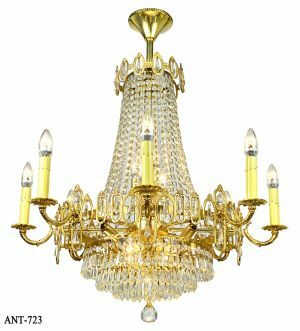 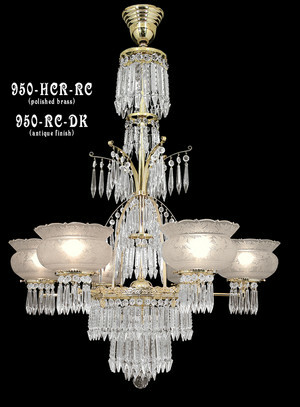 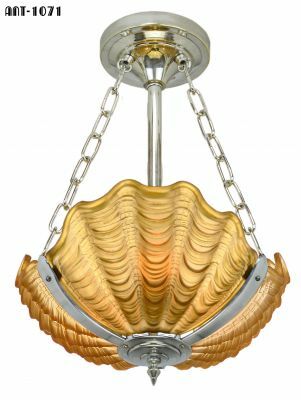 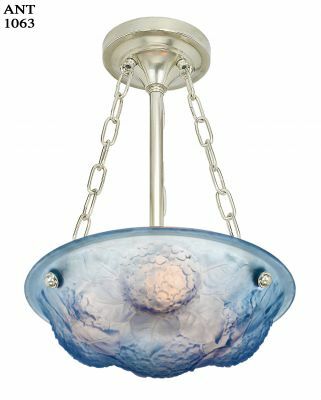 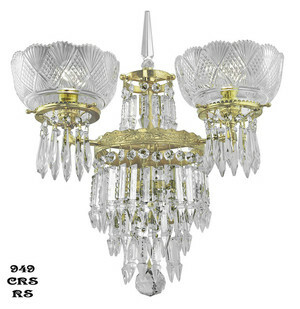 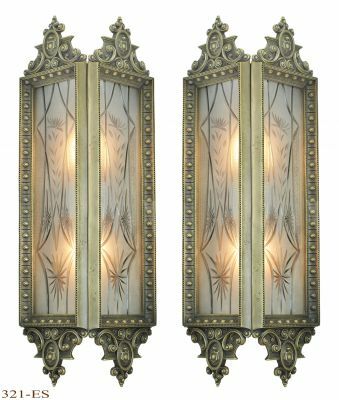 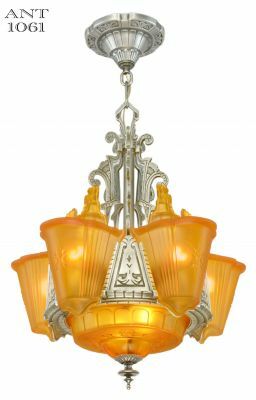 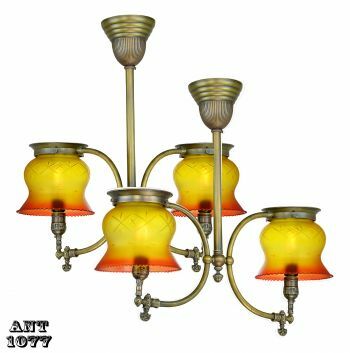 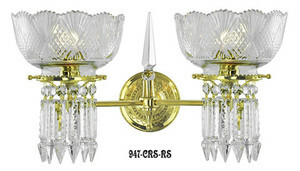 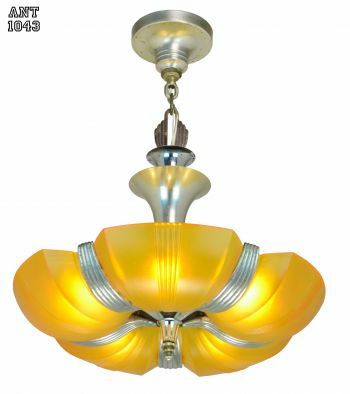 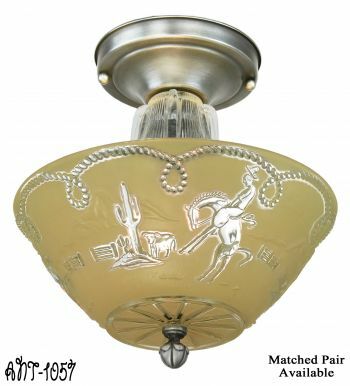 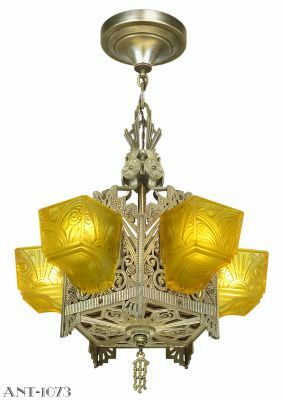 Click here to view sample catalog pages of our vintage prism and crystal chandeliers and ceiling lights page, and page 2.